The road south of Hobart takes us through some of Tasmania's finest scenic attractions on 50 kilometres of good highway to the orchard community of Huonville. From here the road continues another 90 odd kilometres past the timber and fishing townships of Geeveston, Dover and Southport to the small holiday settlement of Cockle Creek. One of Tasmania's great wilderness walks commences here. The South Coast Track follows the coast passing fine untouched beaches where the rainforests of the South-West National Park meet the sea. A five day walk. An airstrip at Melaleuca allows walkers to fly in or out. The flight is spectacular. The track continues on to Scott's Peak at Lake Pedder with side trips to Federation Peak and the Western Arthurs. The Huon track from near the Tahune Air Walk also joins the track near Scott's Peak. 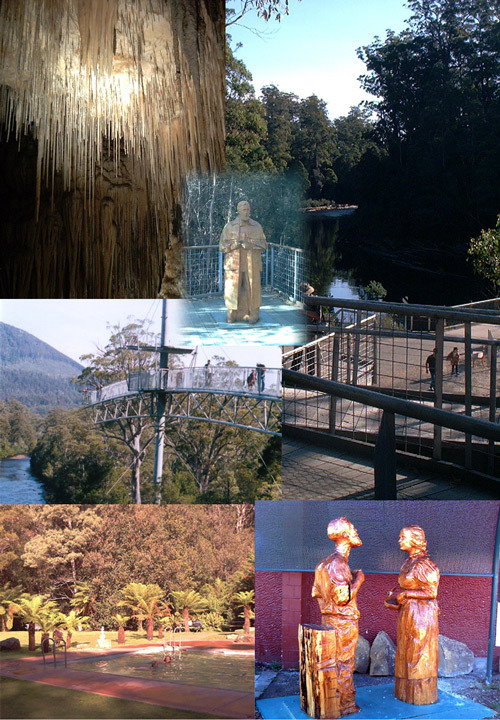 The banner depicts the Newdegate Cave (top) and thermal pool at Hastings, the magnificent Tahune Air Walk complex and wood carvings at Geeveston. There are numerous short walks in the area. 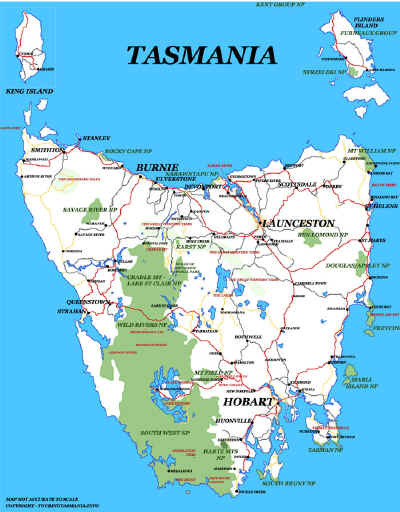 Add to this nearby Bruny Island and what we call 'The Channel' and 'The Huon', the South has plenty to offer.